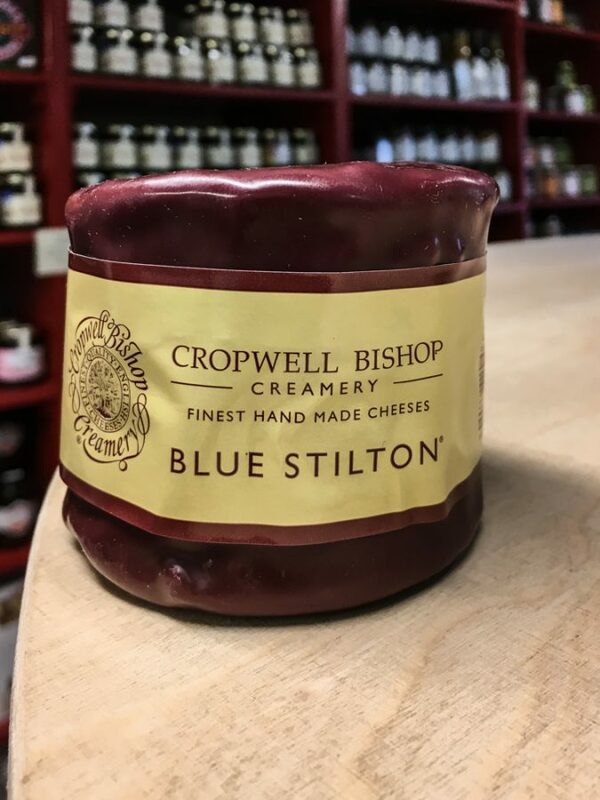 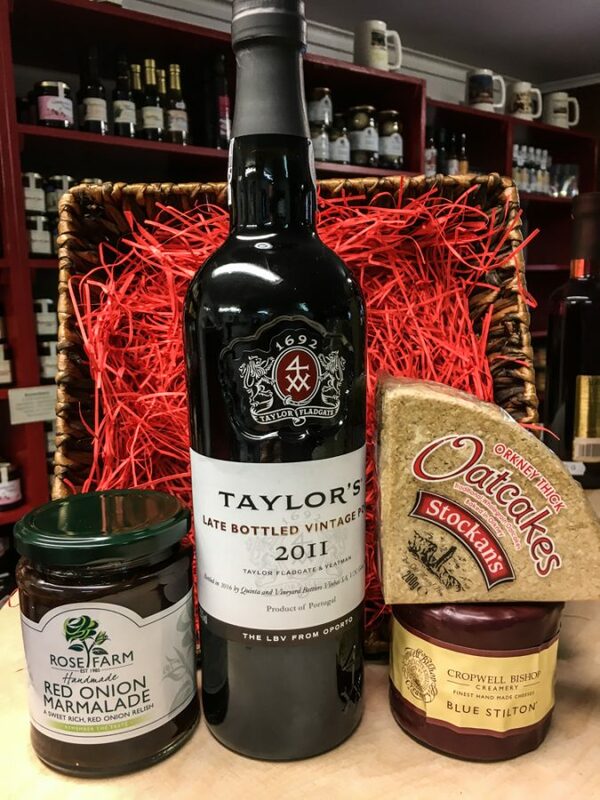 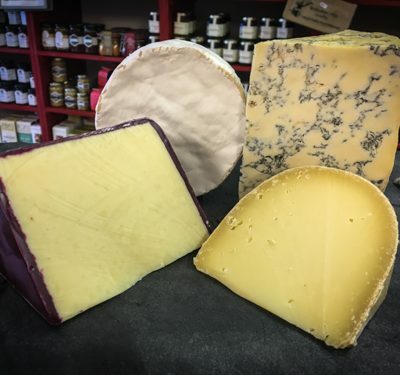 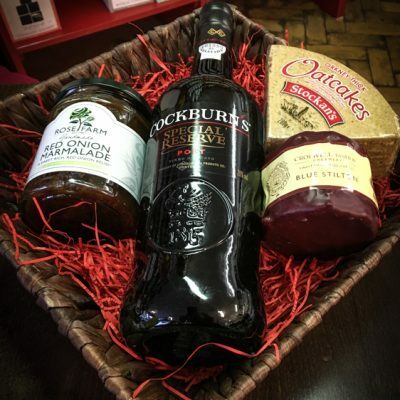 Port and Stilton Hamper includes and bottle of 2012 Taylors Late Bottled Vintage Port 750ml, Waxed Cropwell Bishop Stilton 200g, Rose Farm Red Onion Marmalade 340g, Stockman’s Traditional Oatcakes 100g. The cheese will not be wrapped inside the Hamper so that it can be refrigerated on arrival. 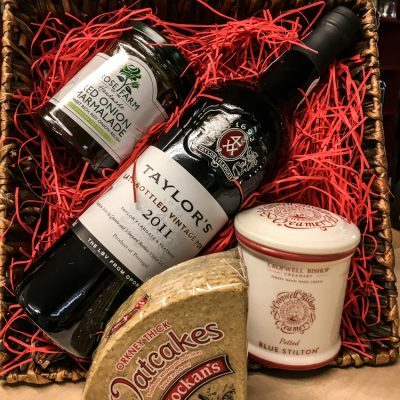 If you would like the cheese inside the Hamper please state when ordering in the comments box.